We made a lot of mistakes building our company, far too many to count, but one thing we did right was put social responsibility into the DNA of who we are from the start. It was those early discussions before we even filed as an LLC that allow us to take part in things like the “Coding Boot Camp” we helped put on with CNCT Rockford, and Rockford’s 2nd Police District. It was the same spirit that allowed us to launch our Skragglies Web Designer Scholarship, and to offer free logo’s, websites, brochures, and a ton of other great things to non-profits at no cost. The “Coding Boot Camp” is a 6 week course, that gets these kids to a point where they know just enough to get started on their journey’s as the next generation of programmers, coders, designers, and developers. The goal is for these kids to have a real working website they built themselves, which our company will host for free. As business owners, we always measure how much return we get on the investments we make. If we spend money or time on something, we like to know it pays off. Things like this Coding Boot Camp might not bring money in to our business, but the difference we make in other people’s lives is the single best paycheck we could ever get. All in all, I love working at Skragglies. I love that we put people before profits. I love that we measure success not just in dollars, but in the real difference we make in our community. 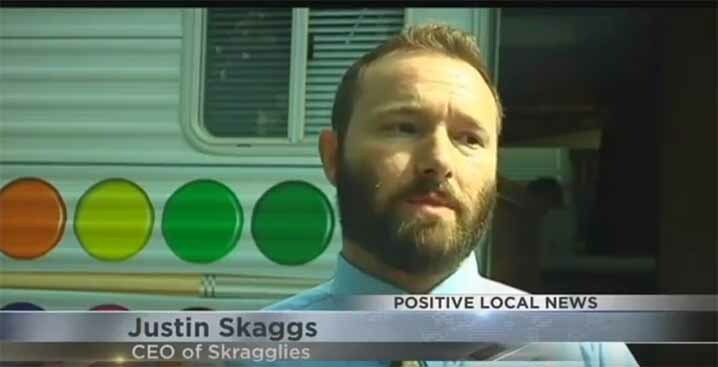 It’s all in a days work, here at Skragglies. Watch the video below for more information about this program, and definitely check out CNCT Rockford, and the many other great projects they have going on!